In a region beset by problems resulting from the disintegration of textiles, apparel and tobacco, there are a growing number of examples of a new life built upon science and technology sectors and the genuine commitment of the people of eastern NC to infuse quality in their work and the products they make. A US manufacturer of televisions used to promote its product with the saying ‘the quality goes in before the name goes on.’ Quality is paramount today in discussions of manufacturing, whether it is related to automotive or aerospace parts, the supply of semi-finished goods from Asia, the food supply, or even the stature of the workforce. In particular, Quality by Design (QbD) is one of the front burner concepts discussed in pharmaceutical circles today and relates to the notion of understanding and planning for all the variables in drug development through commercialization. 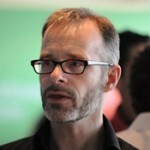 But the concept can and should be applied to other aspects of the life science industry as well. It’s even an apt description for the state of the industry in eastern North Carolina. In a region beset by problems resulting from the disintegration of textiles, apparel and tobacco, there are a growing number of examples of a new life built upon science and technology sectors and the genuine commitment of its people to infuse quality in their work and the products they make. Situated just east of the world famous Research Triangle, the area served by the BioEast Alliance has emerged as a major life science region in its own right – primarily biopharmaceutical development and manufacturing. Private sector firms employ more than 8,000 (1) workers at world-class facilities of leading companies. GSK, DSM Pharmaceuticals (now merging with Patheon), Hospira, and Merck are global companies that have had pharmaceutical production facilities in the region for decades. The continued development of this industry cluster has resulted in a dynamic support network (supply chain companies, industry-specific consultancies, extensive educational and workforce development programs), a steady stream of innovation, better wages and a higher quality of life for area residents. The small city of Wilson, in particular, has been a big winner over the last several years, attracting Purdue Pharma, Sandoz (a Novartis company) and most recently Becton Dickinson (BD). In 2008, BD announced plans to construct a $100+ million state-of-the-art, 80 employee sterile, single dose, injectables facility in the Wilson Corporate Park where it now manufacturers all its drug products. As a result, Wilson now boasts 1,200 employees, 1 million square feet, and over $500 million invested in the biopharma sector (2). Wilson sits on I-95 halfway between Boston and Miami and halfway between Raleigh (NC State University with colleges of engineering, ag/life science and management) and Greenville (East Carolina University with schools/colleges of medicine, nursing, allied health, dental medicine, business and engineering/technology). Wilson also has a key attraction – sizeable surplus water and wastewater treatment capacities – essentials for the biopharma industry. At the eastern edge of the BioEast Alliance is Greenville, NC, home to East Carolina University (ECU) with nearly 28,000 students (3) and its Brody School of Medicine (SOM). Both serve as critical support elements in development of the life science cluster. RTI Surgical (biomedical devices), MxBiodevices, and CTMG (cGMP-like clinical trials management services) all have ties to ECU (4). RTI Surgical (whose Greenville origins trace back to Encelle) and CTMG were founded by a research physician at the medical school. CTMG epitomizes QbD – providing clinical trial management with design-reviewed cGMP-like processes administered under Quality Systems. As a result, CTMG has demonstrated its ability to enroll more patients in a shorter period of time all while providing real-time, highly reliable data to the sponsor. CTMG President & CEO, Dr. Anton-Lewis Usala was published in the Food and Drug Law Institute Journal in which he postulated the FDA can accelerate clinical trial timelines and completion using documented cGMP processes – achieving quality by design. 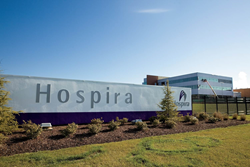 Yet another sign of the importance of investing to assure quality is Hospira, Inc. (formerly known as Abbott Labs, the first pharmaceutical manufacturing facility established in the region). The world’s leading provider of injectable drugs and infusion technologies recently unveiled a new quality and analytical testing laboratory where employees will be responsible for evaluating and testing more than 450 different products. The laboratory features the latest technology and advancements in quality and analytical testing and inspection. It is part of a $270 million investment that will create 200 additional jobs at the Rocky Mount, NC facility (7). “Rocky Mount’s new laboratory, coupled with our investments throughout the plant, will help ensure that we continue to supply high-quality, more affordable medicines to customers and patients who need them,” said Marty Nealey, Vice President of Hospira’s Rocky Mount Operations. DSM Pharmaceuticals Products just announced a merger with Durham-based Patheon Pharma (under the corporate name DPx) (8). Its Greenville, NC facility (originally built by Burroughs Wellcome) is a leading provider of high-quality custom contract manufacturing and development services to the pharmaceutical and biopharmaceutical industries. With a deal valued at $2.6 billion the new organization is positioning itself to be an even larger player in the global pharmaceutical industry with estimated sales approaching $2 billion (9). DSM invested $160+ million since 2001 to expand and modernize its 1.8 million square foot Greenville, NC operation and was named Pitt County Industry of the Year in 2007 and 2013 (10) for its commitment to the community, the environment, and its employees – another sign of quality. In 2012 alone, DSM added 139 jobs at its Greenville site (11). DSM was also recently awarded a contract to join the Biomedical Advanced Research and Development Authority’s (BARDA) Fill/Finish Network as part of the pandemic response system established by the US Government (12) – a designation only awarded to companies exhibiting the highest standards of quality control. With the merger, there may be more good things on the horizon for the largest campus in the Patheon global network. Smaller companies are also contributing to sector growth in the BioEast Alliance region. Metrics, a local start-up with 300 employees, founded by a Burroughs Wellcome chemist and a Brody SOM faculty member, became a subsidiary of Australia’s Mayne Pharma in 2013 (13). Metrics recently announced the addition of a $1.6 million Gerteis Mini-Pactor fast-track development lab that will provide its formulation scientist greater flexibility in serving clients (14). MxBiodevices just received a second round of funding ($237,878) from the NC Biotechnology Center to prepare for manufacturing of clinical trial quantities of its lead product, Dermagrid, being developed to treat diabetic foot ulcers (15). Other members of the BioEast Alliance cluster, like Aylward (packaging equipment, New Bern), West Pharma Services (closures, Kinston), and Flanders Filters (HEPA filters/systems, Washington), continue to provide quality products and services for the big players in the biopharmaceutical industry. Eastern NC companies are consistently tapping into the regional labor force seeking qualified talent. Fortunately, several key programs are in place to provide a consistent pipeline of qualified workers to life science employers (check out STEM East and NCWorkReady). The NC Community College BioNetwork is the nation’s largest network of education and training services for the bioscience cluster and excels in developing industry-specific curricula. The BioNetwork can also provide worker training in the Capstone Center hands-on aseptic suite (16). Several community colleges in the BioEast Alliance region offer two-year degrees as well as specialized training to support the biopharmaceutical industry. Also nearby, the Biomanufacturing Training and Education Center (BTEC) provides high-level training for Biomanufacturing workers. It augments training an individual receives at the local community college. BTEC, on NC State University’s Centennial Campus, provides a pilot-scale cell culture and purification suite, intermediate-scale unit operations and bioanalytical lab operating under cGMP practices (17). Additionally, the Biomanufacturing Research Institute and Technology Enterprise (BRITE) research facility supporting education and training for analytical technology and drug development, QA, and QC (18). BRITE complements the cGMP training lab in the ECU Department of Chemistry – students taking the cGMP course dramatically improve their employability at biopharma companies; companies believe the course accelerates the efficiency of a new employee by at least 6 months (19). The NCEast Alliance is a regional economic development corporation serving more than 1 million residents within several small metropolitan and micropolitan areas from the fringe of the Research Triangle to the Atlantic Coast. The Alliance provides community capacity building and assists companies with site location and expansion assistance. For more information on the NCEast Alliance, visit us at www.nceast.org or call 1-800-474-8499. Posted in Pharmaceuticals and Medical Products.